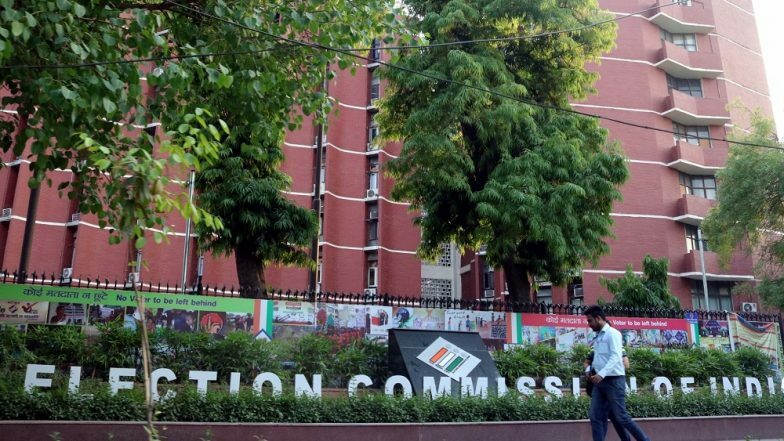 Meerut, April 11: The Election Commission's 'Voter Helpline' mobile app came to the rescue of many in UP's Meerut who found their names missing from the voter list. The app, launched in February, helped many to get the requisite details for casting their votes. At the polling station of Taxila Public School in the Shradhapuri area, polling agents verified the eligibility of around 300 using the app and allowed them to exercise their franchise. "We feed the voter card number in the app to get details. So far, we (poll agents) have helped more than 300 people whose names were missing from the voting list in casting the vote," said Prabhakar Vikram Singh, a polling agent at Taxila Public School, which had six polling booths (numbered 64 to 69). The app helps voters find details and a note can be downloaded, which can be used to caste vote. cVigil App, Helpline Number And More: All About Tools Made Available To Voters by Election Commission For Lok Sabha Elections 2019.